The fastest growing spruce. New growth is bright green and highlights the violet cones. Foliage ..
A medium to large evergreen tree found at low to high altitudes over much of western North Ameri..
Smilax aspera is an evergreen Climber growing to 3 m. It is hardy to zone 7. Flowers from August..
A Mediterranean native valued for its exceptional heat- and drought-tolerance, this medium-sized evergreen tree is often planted in California and the Southwest United States. 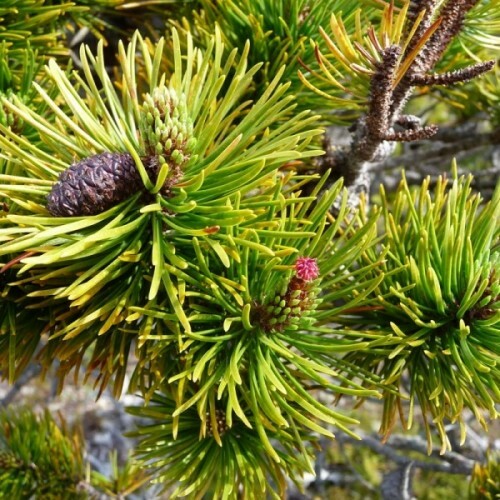 The short, bright green needles of this pine occur in bundles of two. They are rather sparsely borne on short upright branches which form an open, rounded, irregular crown. In spring, tiny male cones and larger female cones appear near the branch tips. The egg-shaped, yellowish brown female cones angle backward from the branches. Female cones ripen in 3 years but often persist for much longer. This tree usually has a single trunk with smooth gray bark that becomes brown and scaly with age. 1. Place the seeds in a container with tepid water and soak them for 24 hours. 2. Fill small pots with compost. Place one or two pine seeds on top of the compost in each pot, then cover the seeds with a thin layer of sand (5-6 mm / 1/4"). 3. Water the sand and compost to add moisture, then place the pots in a warm, sunny location. As the seedlings emerge and grow, the soil needs to remain moist, not wet. Repot the pine trees into medium-sized pots in the fall. 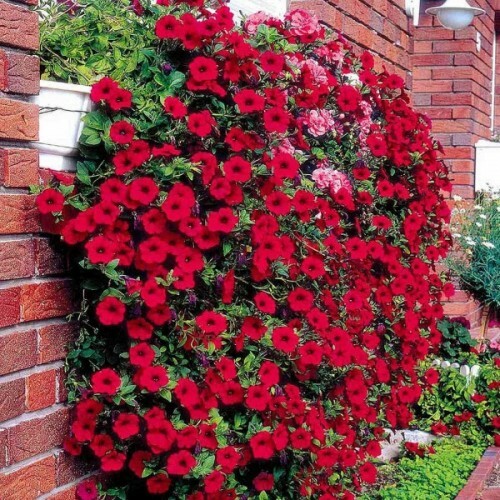 Grow them in the pots for the following season until they are large and strong enough for transplanting into the landscape. Approximately 150 seeds in 0.4g packet.Grown as a biennial plant. 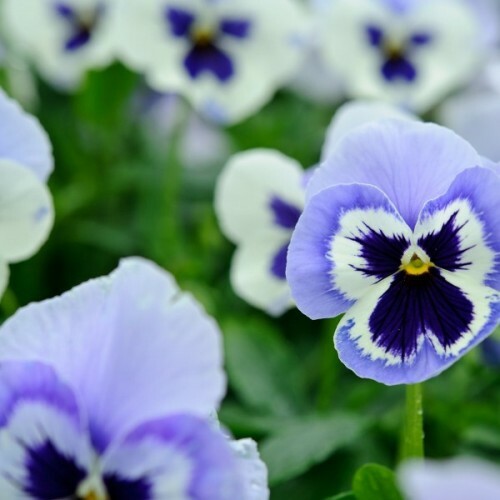 These pansies blooms from Apri.. The large, warty, round fruits of Osage orange are heavy and dangerous when they start thudding ..